Tessellation. Much like some of the previous fish images, but with a different symmetry. All of the fish are swimming in the same direction. This requires four colors rather than two. 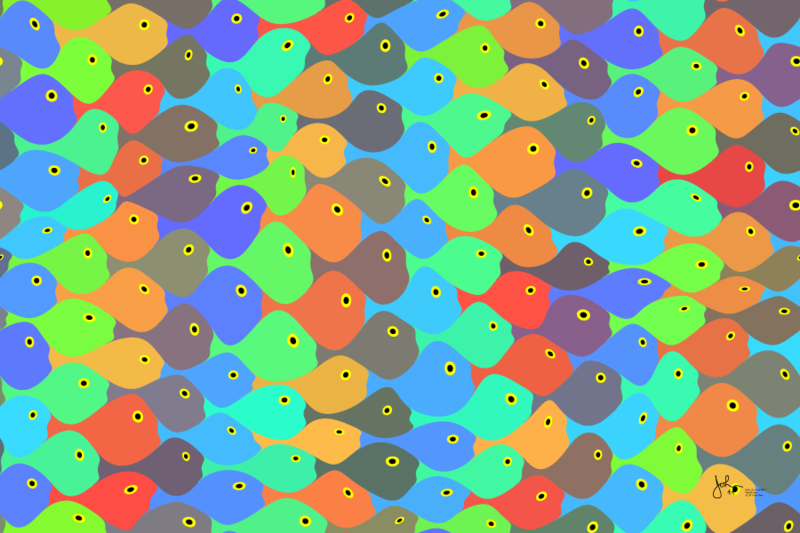 Distortion is used to suggest that the fish are in motion.